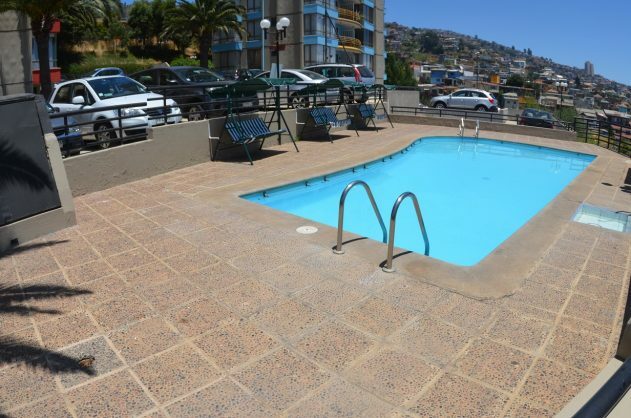 Only steps away from La Sebastiana, the iconic home of chilean Nobel-prize winner Pablo Neruda (a must see for all Valparaiso visitors), Lofts Ferrari is a development of 2 high-rise buildings that dominate the scenery of the hills from the coastline. Built in mid 90’s, they preserve a air of modernity that made them unique at the time they were built. 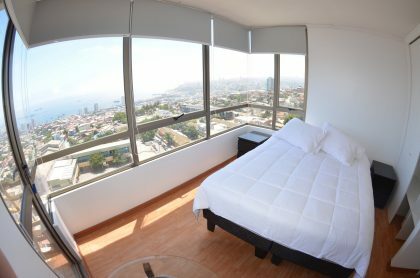 The apartments are cozy yet spacious, all with a breathtaking view of the Valparaiso bay from a private balcony. 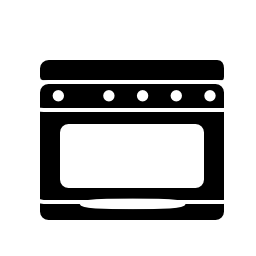 Bedrooms with views to the sea and the hills, an ample kitchen and a well decorated living room will give you the sensation of flying over the city. 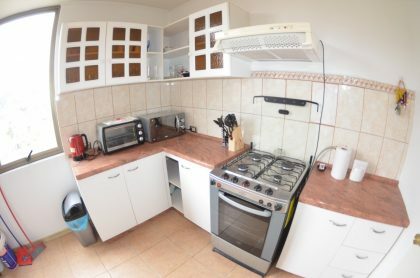 The building is located on Avenida Alemania, one block from Yerbas Buenas, very close to the best restaurants of the emerging touristic center of Cerro Bellavista, with excellent access to the city center, the Open Sky Museum and the Espíritu Santo elevator.